We are an authorised retailer for a range of new helmets, including the full range of ARAI products. 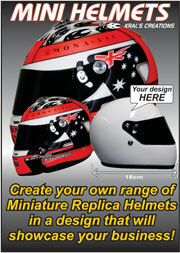 Check with us for competitive pricing and great deals on helmet and paintwork packages! 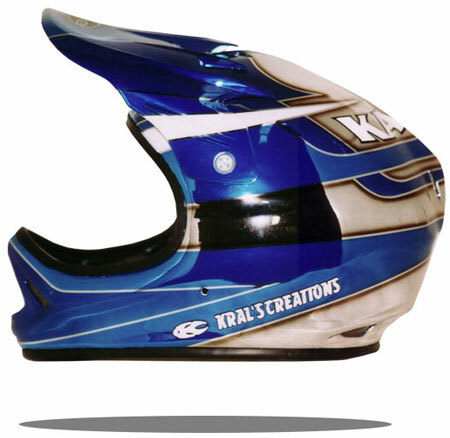 Available for Arai, Bell, Stand 21, etc. Dramatically reduces glare, UV effective and scratch proof. Not available for purchase through other stores. Much less expensive than other chrome or iridium visors. We can swap or apply this treatment to your existing clear visor, making it even cheaper for you! Perspex case with solid wooden base. 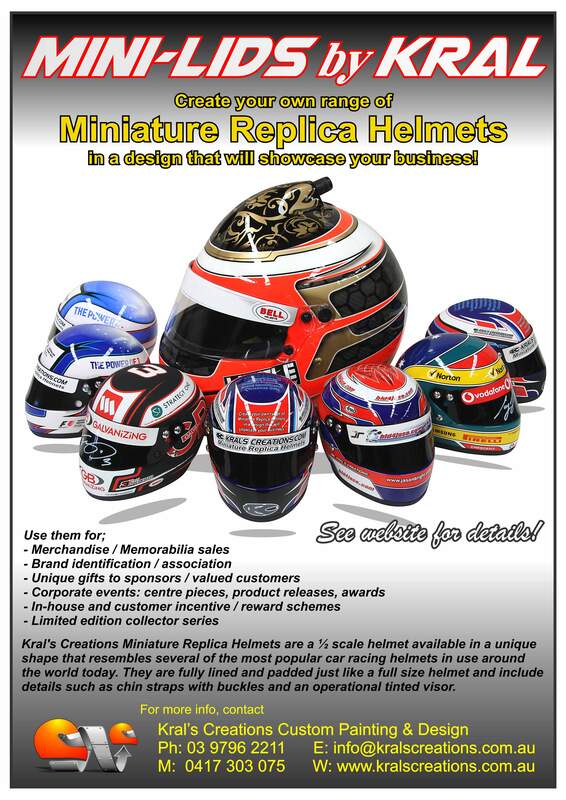 Display your helmet in style! For open wheel aerodynamic performance all allround stylish looks. 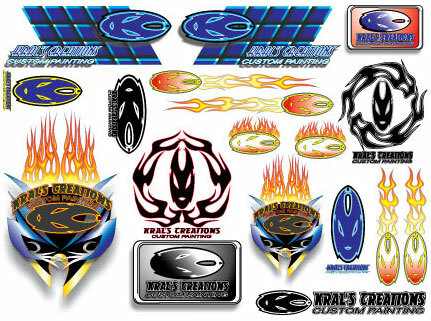 We can design and print almost any type of stickers that you require. With our thermal printing equipment multi-colour, die cut stickers can be made in small or large quantities at very reasonable prices. We also produce computer cut decals to suit any application.